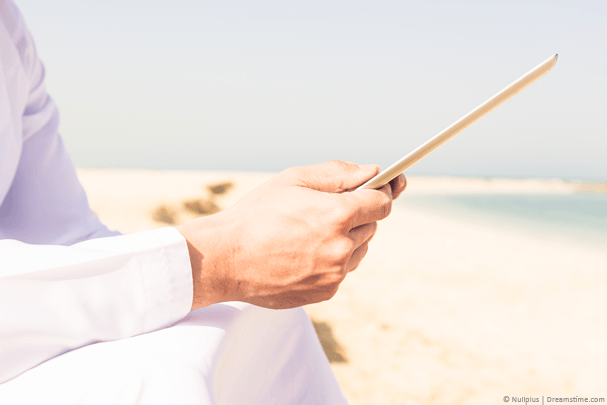 If there’s a country you need a VPN for then it’s definitely the United Arab Emirates. However, finding reliable and up to date information for 2018 about which is the Best VPN for UAE can be extremely difficult. If you’ve done a search you’ve probably already come across outdated and invalid information and if you’ve signed up to any of the recommended providers then you’ve probably lost money too. We wanted to rectify this issue so we’ve been looking at the Best VPN services for use in the United Arab Emirates in 2018 so you have an updated list of options to choose from. We’ve done the hard work, now all you need to do is choose one of the five below. IPVanish is our Number 1 VPN service to use in UAE. Using a VPN in the United Arab Emirates can sometimes feel a little bit risky so a high level of encryption and privacy is essential. IPVanish delivers on both these fronts. Their encryption is industry standard and their privacy policies are higher than many other providers. We really like the fact they store no-logs of either your activity or when you connect which means what you do online remains private. There are also over 60 worldwide locations. If you want good local connection speeds to protect the likes of your Wi-Fi privacy then the Dubai based VPN servers will be suitable for you. If however you want to tunnel out of the UAE then servers in Israel, Cyprus, Greece and India are all just a hop away and will allow you to bypass UAE internet restrictions. Couple it with the built-in “Scramble” feature and you should be able to bypass any restrictive networks. You should consider using the Scramble feature on the mobile apps and Obfuscate mode on the desktop apps to give an added layer of protection and disguise your VPN use. VyprVPN made our Best VPN for UAE list this year because they have some of the best regional support of any provider. Local VPN servers are available in Dubai itself and also in neighbouring Qatar, Bahrain and Saudi Arabia. Further afield but still within good range are VPN servers in Pakistan, India, Israel and Egypt. We really love the 3-day trial VyprVPN offer because it allows you to test the service risk-free without payment. You will need to enter payment details to take the trial but if you find it’s not for you then cancelling is simple and you won’t be charged anything. With free internet access being ever eroded in the UAE and neighbouring countries accessing VPN services may become increasingly difficult. VyprVPN thankfully has a special VPN mode called Chameleon so even if VPN blocks become commonplace you should still be able to break through to access a free and open internet. 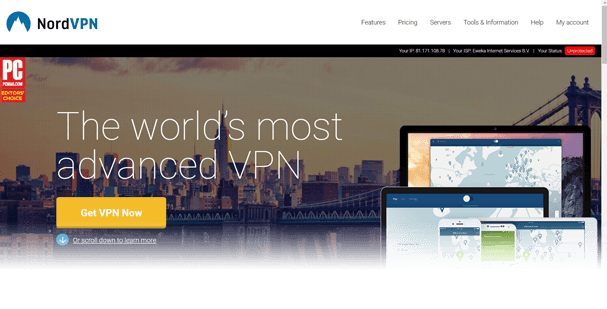 NordVPN has grown to be one of the biggest VPN providers in the world and with good reason. They’re registered in Panama which puts them off-shore and ensures they’re probably not sharing any details with the UAE. Their encryption is pretty neat too and is using the most common standard available. There are nearly 3000 VPN servers across 59 countries giving you plenty of scope for connection. Local servers are available in the UAE and further afield in Israel, Turkey and Egypt which allows for a combination of good speeds and bypassing local internet restrictions. We really like the massive 30-day money back guarantee that NordVPN offer which allows you to test it in the UAE risk-free. If it doesn’t work for your needs or you just can’t get it working for whatever reason then they’ll give you a no hassle refund. If you’re looking for a VPN for the UAE that has a large range of server options then ExpressVPN will be the service for you. There are over 94 VPN connection points on the ExpressVPN service made up by a combination of both physical VPN servers and virtual locations. In fact, they have the most VPN servers within range of the UAE allowing you to tunnel out and bypass UAE internet restrictions. Nearby locations include Azerbaijan, Armenia, Georgia, Turkey, Cyprus, Israel, Egypt and Pakistan. You can use the service on up to 3 devices at the same time and ExpressVPN has the largest range of apps available. Android and iOS mobile devices are covered as are Windows and Mac computers. There’s also an app for Linux and the Amazon Fire TV. A large range of routers is also supported. If that isn’t enough then there is also a massive 30-day money back guarantee to give you plenty of time to try the service out. CyberGhost VPN is one of the easiest VPN services to use so if you’re a user in UAE who hasn’t used a VPN before then you’ll certainly want to take a look at CyberGhost VPN. We really like the simplicity of their software and apps which help you get connected based on your needs. This takes out a lot of the guesswork of using a VPN. Simply select your usage type and the app will connect to the best server. Nearby servers include Israel, Cyprus, Pakistan, India and Kenya. These locations give you plenty of scope for bypassing local UAE internet restrictions while also retaining usable speeds. We really like the fact there’s a 7-day trial available on the service and massive 30-day money back guarantee. If you’re a little wary about signing up for a VPN wondering if it’ll work reliably in the UAE then both these guarantees should alleviate that fear. Choosing a VPN service for use in the UAE can be extremely difficult. The legality of using a VPN in the UAE has been somewhat of a grey area. However, the good news is it appears that using a VPN in the UAE is not illegal at all, only using one for illegal purposes is. You can see more about that here, here and here. 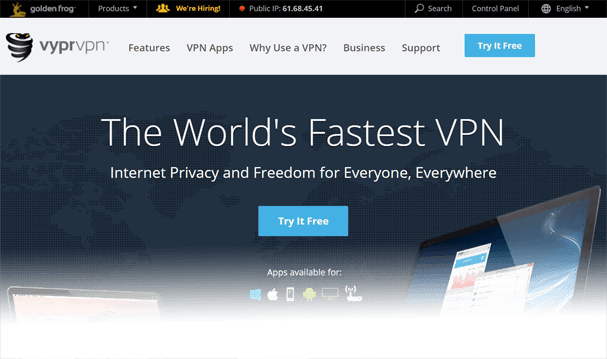 If you’re happy to continue then it’s imperative that you choose a VPN service that is not only reliable but also offers advanced encryption and modes to disguise your VPN traffic. For that reason, we recommend both IPVanish and VyprVPN. It’s also critical to consult updated guides such as this one for 2018 because information can become outdated quickly. Services that were recommended for use in the UAE in 2017 and before may no longer be recommended now. All the recommended services above at the very minimum offer VPN clients for Windows and Mac devices and also Android and iOS. This means you’ll be able to protect your privacy and access blocked content both on desktop and laptops but also on mobile devices such as phones and tablets. As VOIP services such as Skype and others are blocked in the UAE it’ll allow you to bypass those restrictions and be able use the services on your mobile devices. There are some added clients depending on which VPN service you sign up for. For example, IPVanish has a dedicated Amazon Fire TV app and ExpressVPN have a Linux VPN client available. All of the recommended providers are based outside the UAE which means authorities in the UAE should in theory not be able to access any details about what you did while using the VPN service. The providers recommended also all claim to store none or very limited logs about what you do while connected to their service. Our top-recommended VPN provider for use in the UAE, IPVanish, claim to store absolutely no-logs of what you do while connected to their service. More importantly they also claim they don’t store any connection logs which means there should be no record of you even connecting to the service. At the very most authorities in the UAE may be able to determine that you’re using a VPN but not what you did while connected. For this reason it’s important to enable the Scramble or Obfuscate modes from providers such as IPVanish or special modes like Chameleon from VyprVPN which should go some way to help disguise that you’re using a VPN. It’s worth noting that no service can 100% guarantee your online privacy. However a VPN is definitely the best option out there and if you absolutely must access blocked content or you want to level-up your online privacy then there really is no better alternative. The internet in the UAE is becoming more restricted from blocked websites to blocked services such as Skype. If you absolutely must use a VPN service in the UAE then the above five recommended providers are some of the best out there to help you beat censorship and protect your privacy. Reports suggested that VPN services were illegal in the UAE but this appears not to be the case. You can read articles from UAE publications regarding this using the links earlier in this guide. The five providers above are our recommended choices for use in the UAE so it’s worth checking them all out to see if they meet your needs and where possible enabling the special modes for use in jurisdictions such as the United Arab Emirates. All you need to do is select one of the five above or click the link below to visit our recommended provider.